What is the RACI Matrix? 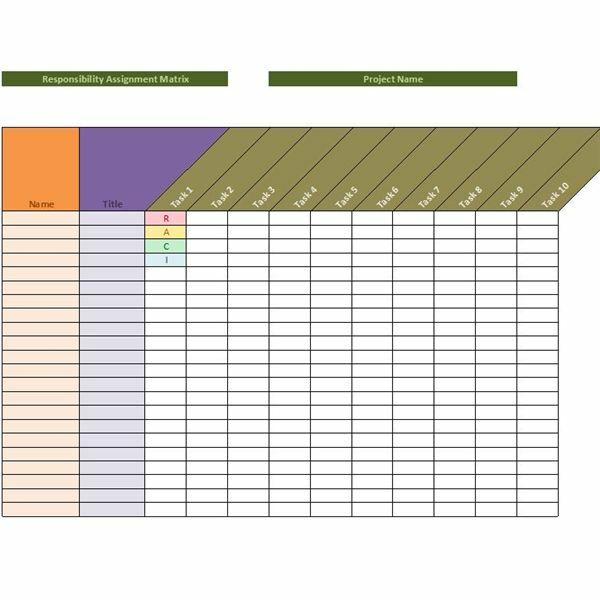 A responsibility assignment matrix, also referred to as a RACI matrix displays each team member involved in a project as well as their respective roles. RACI is an acronym for Responsible, Accountable, Contributing and Informed, making it easy to understand each participant’s level of involvement at a glance. One way to make an assignment matrix even more simple and straightforward is to use color-coding. For instance, you might label responsible team members using red highlighting, mark accountable parties yellow and highlight contributing members green. 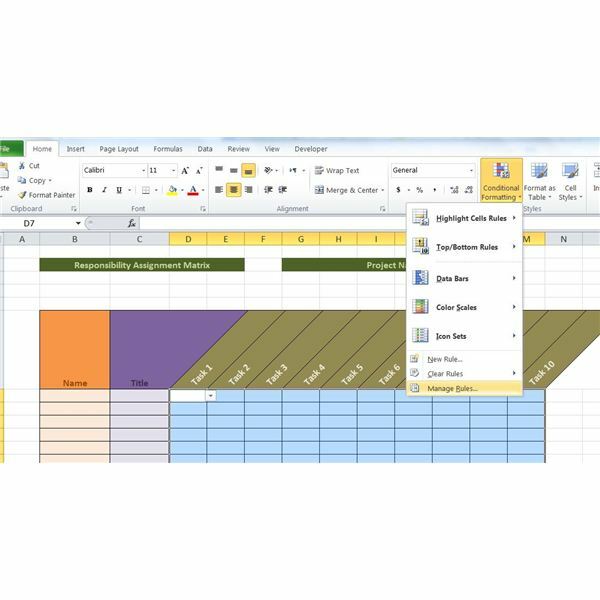 If you use Microsoft Excel to create a RACI Matrix, you can apply conditional formatting to assign color-coding to the people listed automatically. 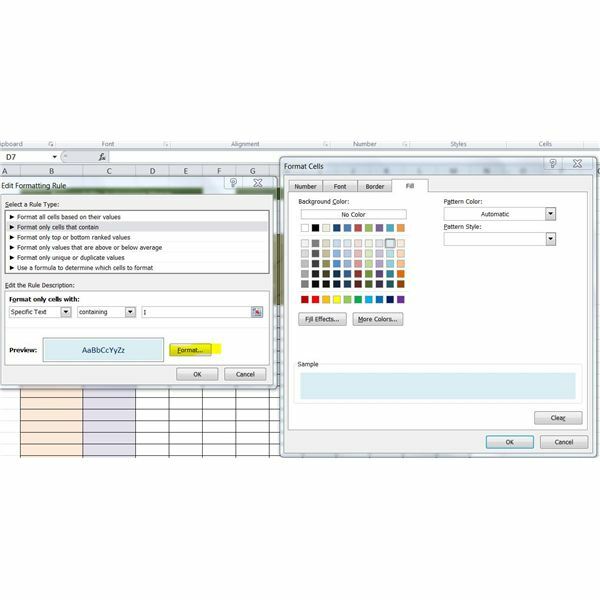 Conditional formatting is used in the template provided here, but you can learn how to add it to your own matrix worksheet or to make changes to the template, such as modifying the colors corresponding with each level. To use the template provided, begin by entering the name of your project in the Project Name box near the top of the worksheet. Type the names and titles of each member of your project team in columns B and C, beginning with the project manager and followed by seniority, if desired. In row 6, start in column D and enter each task for which you want to display assigned responsibility levels. When you have entered all of these details, you can begin selecting assignments. Beginning in row 7, columns D through M include dropdown lists from which you can choose R, A, C or I, simplifying the data entry process. In addition, conditional formatting has been applied to these cells. Any cell in which R is selected will be highlighted with light red; cells containing A are shaded yellow; “C" cells show up green; and cells in which you choose I will turn light blue. You can change the colors of this shading if desired. Select the cells and click Conditional Formatting in the Styles group of the Home tab. Select Manage Rules. Select the rule for which you want to change the shading and click the Edit Rule button. Click the Format button. Choose the color you want to apply to the cell in the Background Color section of the Fill tab and then choose a font color on the Font tab. Click OK twice, select the next rule you want to edit and repeat these steps. Click OK when you are done. Once you have completed the RACI matrix worksheet, you should analyze the data. First, make sure that each task contains at least one entry for both R and A, as someone should be responsible and accountable for completion of each task to ensure a successful outcome. In addition, it is important that these are different individuals to guarantee nothing falls through the cracks. If a task contains neither an R nor an A, you should reconsider to determine whether its inclusion in the matrix is necessary. Alternatively, if one item lists multiple Rs or As, reassess the particulars of the task to decide on ultimate responsibility and accountability. Assigning these roles to too many team members can cause avoidable conflict, which could obstruct completion. Take time to look at the matrix from the individual angle, as well. Check to see whether any one person might be listed as R for too many tasks. Overwhelming one team member could result in quick and careless efforts, simply because that person does not have enough time or resources to produce quality work in every area. Similarly, one party loaded down with an abundance of A assignments may cause a holdup. In general, blanks on an RACI matrix are not only common but also desirable. Chances are good that not every team member needs to have a hand in every single task. Finally, clarify the expectations for each assignment with your entire project team. Make sure that team members are not only aware of their level of involvement for each task, if any, but that they also clearly understand the specifications of their responsibilities. As long as you have delegated sufficient responsibility regarding each task and explained all roles and responsibilities, you can feel confident that the project will be completed in a timely and efficient manner.